Winnahs! of the audiobook bundle! Remember last Tuesday’s Audiobook Giveaway on Facebook? 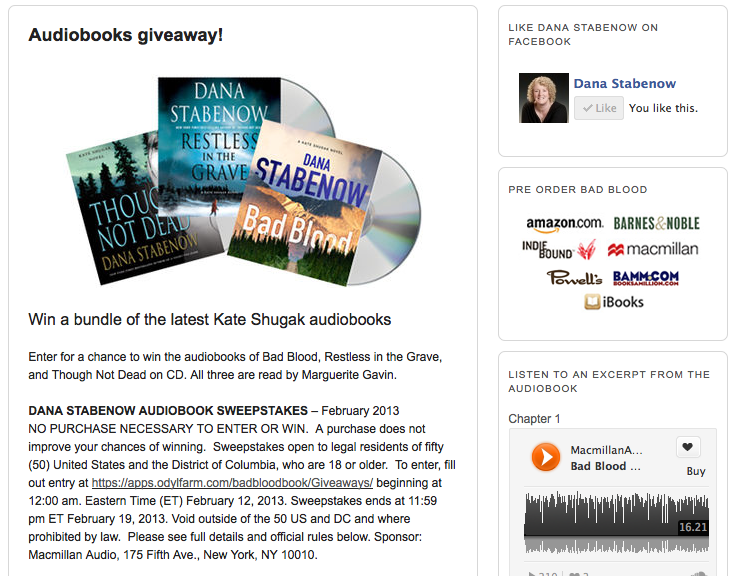 Where those amazingly generous people at Macmillan Audio gave give you the chance to win a bundle of Kate Shugak audiobooks? Can’t believe they included the new book in that, but they did. I can’t think of a more deserving winner than John. He’s a friend from Laurie King’s book club and a nicer person, as well as a more book loving person, just doesn’t exist! Waaahooo!! My first Kate audiobooks. Now I will learn how badly I’ve been pronouncing place and people names. Thanks Samantha, MacMillan, and Dana!! Enjoy, Jodi, and thanks, Karen! Kate Shugak has been my shero since 1992, when my daughter was two years old. Today, my daughter gave me her copy of RESTLESS IN THE GRAVE, with strict orders to return it in two days. (We read fast.) We both have read all the other Kate Shugak novels. It meant so much to me to be able to share Kate with my daughter. (I named her Ameli, but she’s chosen her own nickname — Katie.) I always loved the scene where Kate Shugak danced alone on the mountaintop as the Northern Lights glimmered and shone. And when I became a forensic interviewer, interviewing children and teens who’d been abused or witnessed violent crimes — I appreciated these novels even more. Reading these novels has made me a stronger, more resilient woman through my adult life, and they have made my daughter stronger, too. 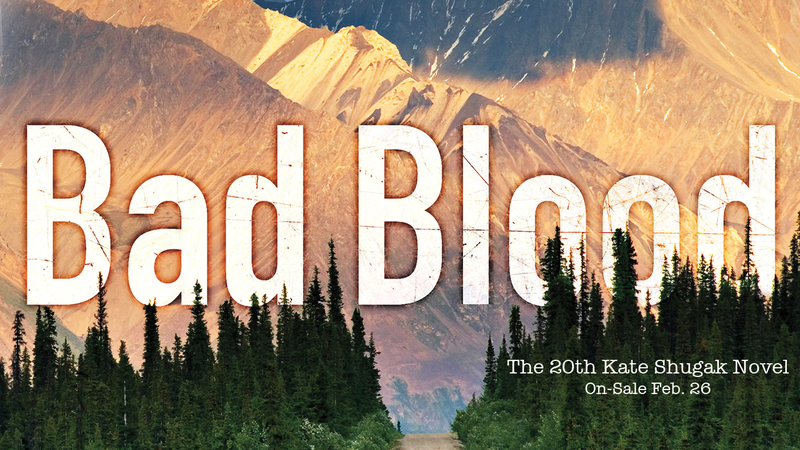 We both are avid readers with more than a thousand books read in our lives — many more — and the Kate Shugak novels are our favorites. They are our go-to books for tough times. It isn’t only the quality of the writing and the excellence of the characters; it’s also the feeling that someone really understands the experience of being a strong, independent, working woman with a huge sense of justice. Thank you, Dana. What a wonderful compliment, Kiesa. Thank you so much. Hi, Dana – I have a question about Marguerite Gavin’s pronunciations, especially in “Though Not Dead”. Don’t get me wrong – I LOVE the voices she’s given everyone, from Kate to Mutt to Johnny and all the Aunties. But I’ve lived in Alaska for nearly 20 years now, and I’ve never heard anyone pronounce some of the Alaska names as Gavin does – is it because I live in Juneau that I’ve never heard Adak pronounced “Attic”? Or Loussac library pronounced “LOUsick”? And Elizabeth Peratovich has become “PeraTOvich”. It’s been bugging me so much that I’ve been keeping a list! Do you know if she just had an off book? I don’t remember them bothering me in other books (well, I think Adak stood out in “Restless in the Grave” but I didn’t realize that’s the place she meant till later…). Maybe she needs a pronunciation guide – or maybe I’m living too far south…? Anyway, I love your books, all of them, and have read as well as listened to all (I think!). Generally she is very good at asking me for correct pronunciations, Kathy. I will forward your comments to her, and thank you.